Thomas Oberlechner is a widely recognized expert and author on behavioral decision-making. He was also a full Professor of Psychology with a research focus on behavioral aspects of trading and investing. Together with Gerlinde Berghofer, he has been developing path breaking ideas and concepts for cutting edge financial technology in Silicon Valley. Both hold a psychology PhD and are experienced executive coaches. Dr. Oberlechner is the Founder and Chief Science Officer at FinPsy LLC. He is a leading expert on behavioral and psychological aspects of financial decision-making. He was Chief Science Officer and led the behavioral science team at San Francisco fintech company iMatchative and hedge funds data analytics platform AltX, developing decision support systems for investors and fund managers that add novel behavioral dimensions to the financial fund data traditionally available. These systems provide investors and fund managers with deep insight into behavioral preferences, styles, and goals. In his academic life, he was a full university professor and Psychology Department Head at Webster University in Vienna. He has also researched and taught at Harvard University, MIT, University of Cologne, University of Vienna, and other leading research institutions. His groundbreaking work on psychological dynamics in financial markets has led him into the trading floors of the world’s leading banks and other top-tier market participants. Results of his research have appeared in numerous academic and professional journals in both psychology and finance. His published work includes the books The Psychology of the Foreign Exchange Market (Wiley) and award-winning The Psychology of Ethics in the Finance and Investment Industry (CFA Institute). Dr. Oberlechner received his academic education at the University of Vienna and Harvard. His credentials include a Ph.D. in Psychology, multiple Master degrees in Psychology, Consulting Psychology, and Law, as well as a Habilitation (the highest academic qualification conferred by European universities) in Psychology. Over 20 years of work as a clinical psychologist, senior training therapist, and executive coach provide him with unparalleled knowledge of human behavior and motivation of financial decision makers. Dr. Berghofer has over 20 years of professional experience in quality management, project management, and quantitative and qualitative scientific research. She developed numerous research-based measures of process and outcome quality for health settings. Her research is focused on customer needs evaluations and systematic feedback and client satisfaction measurements. 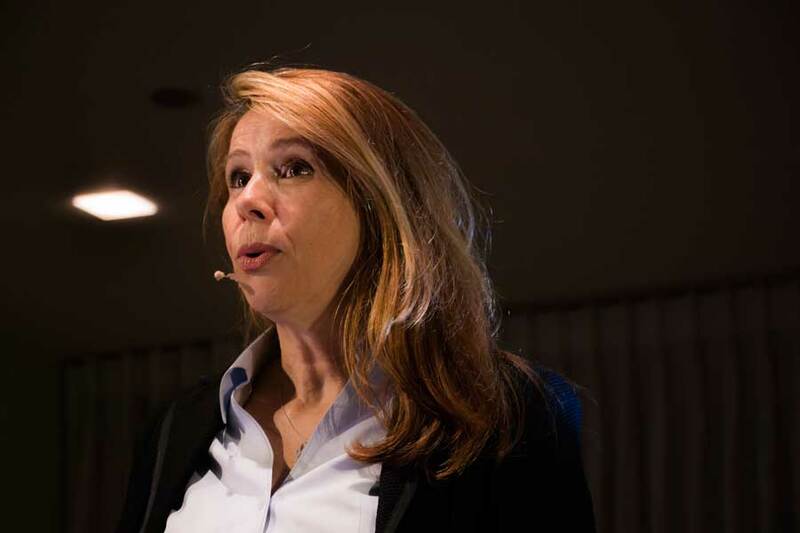 As Head of Measurement at San Francisco fintech company iMatchative and hedge funds data analytics platform AltX, Dr. Berghofer developed behavioral profiling measures of investors and fund managers and investment satisfaction tracking systems. Dr. Berghofer is a licensed clinical psychologist and health psychologist in Austria. She served on the Psychology Advisory Board to the Federal Ministry for Health and, having been a Fulbright Scholar at Columbia University, on the Fulbright Alumni Association Board. Dr. Berghofer holds a Psychology Ph.D. from University of Vienna, taught as adjunct professor at the Vienna campus of an American university and has authored numerous research studies on health services utilization. In her private practice, Dr. Berghofer has for many years provided personal and business coaching, helping her clients achieve their private and professional goals. Oberlechner, T. (2007). 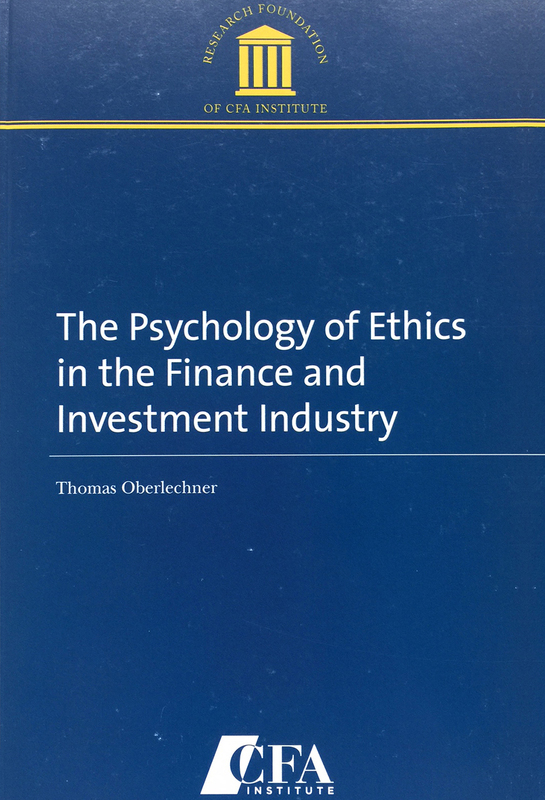 The Psychology of Ethics in the Finance and Investment Industry. Charlottesville, VA: The Research Foundation of CFA Institute. Oberlechner, T. (2005) Psychology of Financial Markets. Habilitation, University Vienna. July 2005, University of Vienna, Austria. Oberlechner, T. (2004) The Psychology of the Foreign Exchange Market. Chichester: John Wiley. Pitters, J., & Oberlechner, T. (2014). The Psychology of Trading and Investing. In Baker, H.K. & Ricciardi V. (Eds. ), Investor Behavior: The Psychology of Financial Planning and Investing, Hoboken, NJ: John Wiley & Sons, 459-476. Oberlechner, T. (2013) How the Media Shapes Perceptions and Fuels Psychology in Financial Crises. In Kallidaikurichi, S. (Ed. ), A Tale of Two Crises: A Multidisciplinary Analysis. Routledge, 106-120. Christandl, F., Oberlechner, T., & Pitters, J. (2013). Burden or Opportunity – A Metaphor Analysis of Financial Crisis Perception by Economic Laypersons. Wirtschaftspsychologie, 15 (2/3), 58-70. Oberlechner, T., & Osler, C.L. (2012). Survival of Overconfidence in Currency Markets. Journal of Financial and Quantitative Analysis, 47 (1), 91-113. Pitters, J., & Oberlechner, T. (2011) Trust in the State and Tax Compliance: Do Priming Effects Matter? Wirtschaftspsychologie, 13 (1), 53-64. Oberlechner, T. , & Pitters, J. (2009) Responsibility for Ethics in the Corporate World: Understanding and Applying the Psychology of Ethics. Wirtschaftspsychologie, 11 (2), 47-57. Gephart, R.P., Van Maanen, J., & Oberlechner, T. (2009) Organizations and Risk in Late Modernity. Organization Studies, 30 (2&3), 141–155. Berghofer, G., Gonja, T., & Oberlechner, T. (2008). Can Empathy be Trained? A Review of Empirical Studies on the Effectiveness of Empathy Training. Person 12 (2), 33-48. Oberlechner, T., & Nimgade, A. (2005). Work Stress and Performance among Financial Traders. Stress and Health, 21, 285-293. Oberlechner, T., & Hocking, S. (2004). Information Sources, News, and Rumors in Financial Markets: Insights into the Foreign Exchange Market. Journal of Economic Psychology, 25 (3), 407-424. Oberlechner, T., Slunecko, T., & Kronberger, N. (2004). Understanding the Foreign Exchange Market through Metaphors. British Journal of Social Psychology, 43, 133-156. Oberlechner, T. (2003). Financial Markets as Psychological and Social Organisations. Wirtschaftspsychologie, 4, 64-73. Oberlechner, T. (2001). Evaluation of Currencies in the Foreign Exchange Market: Attitudes and Expectations of Foreign Exchange Traders. Zeitschrift für Sozialpsychologie, 32, 180-188. Oberlechner, T. (2001). Importance of Technical and Fundamental Analysis in the European Foreign Exchange Market. International Journal of Finance and Economics, 6, 81-93. Oberlechner, T. (2003). Psychology of Trading in the Foreign Exchange Market: Insights from North American Market Participants. Cambridge, USA: Harvard University. Oberlechner, T., and V. Mayer-Schönberger (2003). Through their own words: Towards a new understanding of leadership through metaphors. Center for Public Leadership Working Papers, Spring 2003, 159-174. Harvard University, John F. Kennedy School of Government: Cambridge, MA. Oberlechner, T. (2000). Emotional Intelligence in Controlling: Irrelevant Concept or Necessary Key to Success? ControllerNews, 6, 169-171. Oberlechner, T. (1999). Financial Markets on the Couch: From the Myth of Rationality Towards a Psychology of Markets). Psychologie in Österreich, 19, 209-214. Oberlechner, T., & Hocking, S. (1997). Market Psychology and the Dynamics of Information. 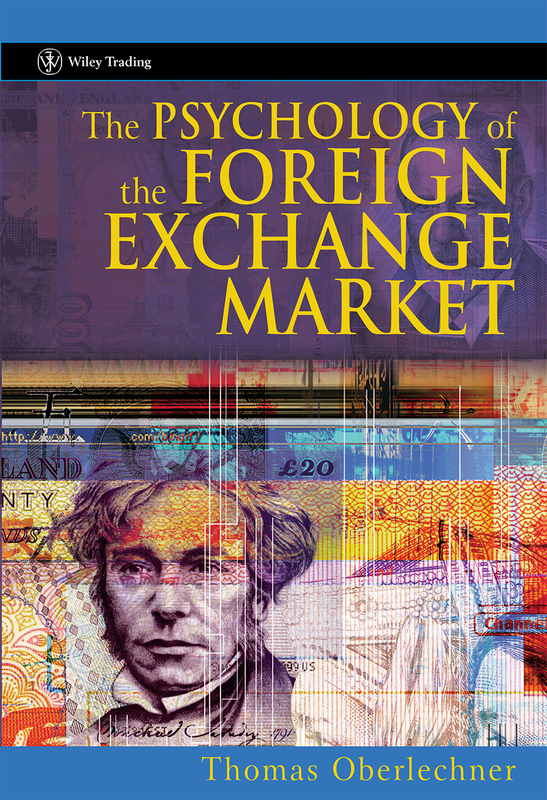 An Interdisciplinary View of the Foreign Exchange Market. Vienna, Webster University. Hocking, S., & Oberlechner, T. (1996). Information and Decision-Making Processes in Foreign Currency Exchange: Examining the Financial News Media, Central Banks, and Commercial Banks. Vienna, Webster University. 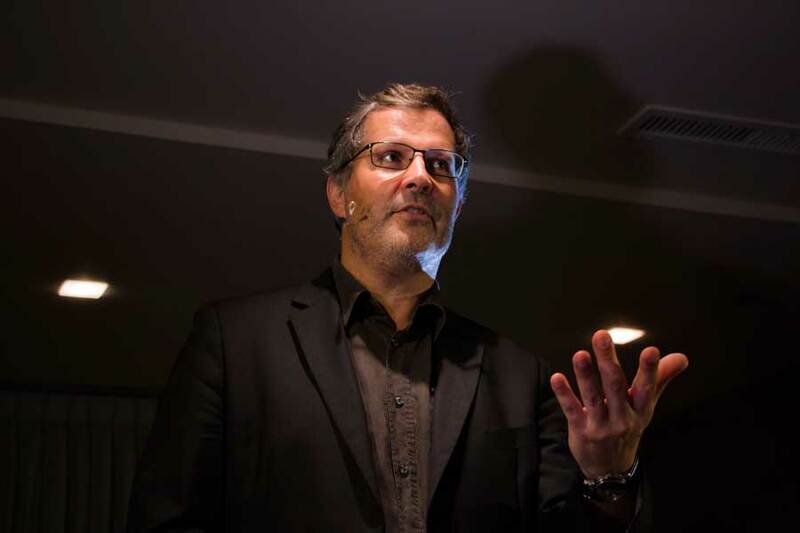 Reports about Dr. Oberlechner’s work and research have appeared in international news media ranging from APA, BBC, Handelsblatt, Presse, Neue Zürcher Zeitung, Standard, to Washington Post.